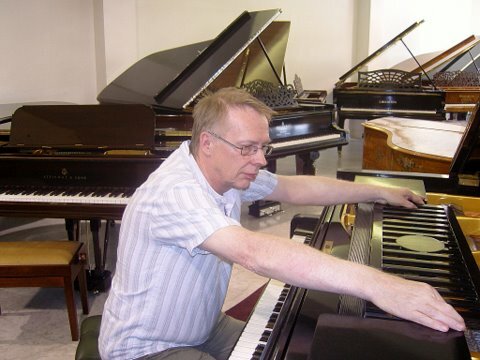 Bob has been tuning and repairing pianos since 1970 after having trained in Ruislip. He has considerable experience of all types of instruments, from small uprights to large concert grands. He has tuned extensively in home and schools throughout the Anglia region, and is regularly called on to tune pianos for concert performance. 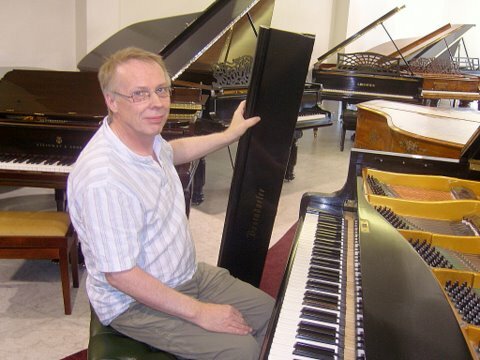 Much of Bob's work is in people's homes, dealing with pianos that are used for practice on a daily basis. As a pianist himself Bob is only too aware of how important it is to have these pianos in top playing order. 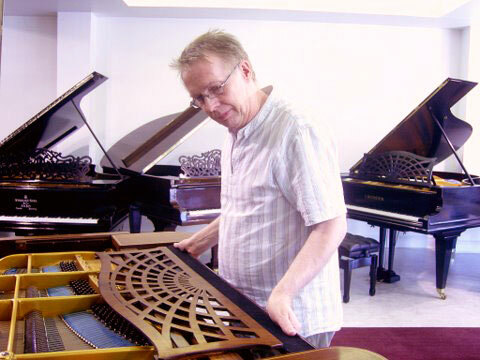 He particularly enjoys the challenge of tuning and repairing pianos in need of work and attention to get them back into good playing condition. Bob covers the whole of the Anglia region (Cambridgeshire, Bedfordshire, Northamptonshire, Buckinghamshire, Essex, Norfolk and Suffolk). Although always in constant demand, you'll find Bob's charges very reasonable. Why not get in touch to discuss your requirements? Information: Types of piano | Information: Piano cases | Information: Piano actions | Information: Buying a piano?